Women nowadays have scaled new heights in various aspects. The discrimination between a man and women should not be highlighted upon in the 21st century when so many technological changes and advancements have taken place. Thus women have challenged all social norms and made her own impressions in society. It is due to various career options available that women have come out of her comfort zone and taken up options that were previously not taken. We at Network Bulls adds to the number of career options and skills of our women. Thus, women can liberate themselves and freely take up anything they want. A career in networking is a tough challenge for many. Keeping aside all the competitions and side effects which are few, we suggest it to be an amazing opportunity to take up to. 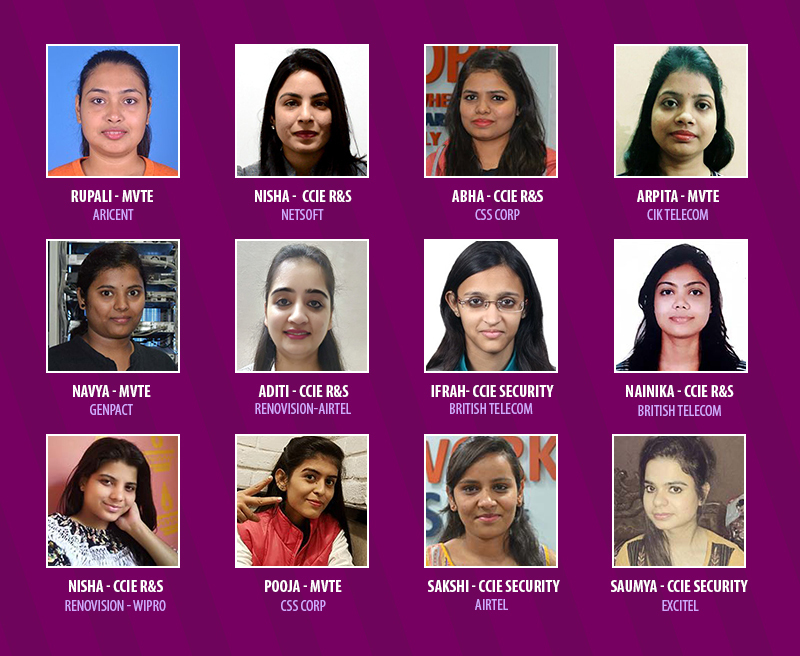 The Women trained in Cisco Networking at Network Bulls are freely able to take up all the unscaled sources in life breaks all sorts of stereotypes and other challenges and spotting their place in the industries. Network Bulls offers various training programs in all of the levels of Cisco Certifications which all have huge advantages and offer new career options to the individual in and out. 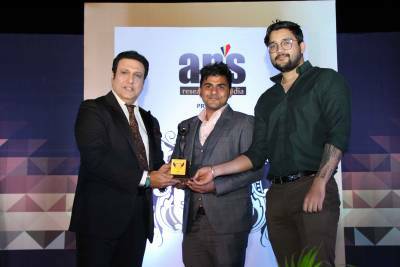 If a woman decides to take up such training, she can surely avail fantastic packages at the companies after completing her training from Network Bulls. The technical team at NB takes a result oriented approach while training its students and helps students attain expertise in their fields. The women being trained from our institute are adding flying colors to their career. # NB offers a fully integrated training program that assures complete guarantee of placement opportunities at various multinational companies and other industrial sectors. Additionally, jobs related to this field have a special aura and charm of its own and who doesn’t love to have the comfort of their own chamber and go for meetings and other conferences with one’s head held high? # Training with NB also offers huge exceptional job environment, amidst all the luxurious walls of the company. The salary packages offered also count to be one of the best through these training sessions and one can easily say that the dream job has just crawled up to them. CCIE basically stands for Cisco Certified Internetwork Expert. It is the highest level and toughest certification of Cisco. Also, it is one of the more renowned and prestigious Cisco Certifications. When a woman visits Network Bulls, our consulting teams provides them with all the knowledge regarding Cisco training or jobs in this field and how it can boost women power. The training at Network Bulls is done in several sessions. Apart from the technical training, various sessions on personality development, mock interviews, spoken English, group discussions, practical test and many more are taken place to boost the confidence of the student and enhance their overall personality making them equipped for the final interview. Defeating several candidates all over, women trained from Network Bulls have excelled in all these courses and made themselves and the society proud as well. 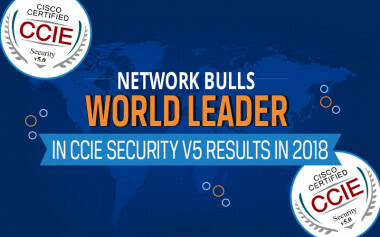 Keeping up with the men, Network Bulls women are stepping up on the ladder and clearing CCIE Certifications every other day. 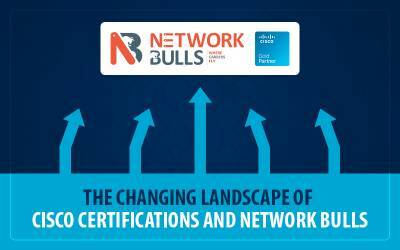 With expert training at Network Bulls from certified expert trainers, NB women have cleared their CCIE Examinations in the first attempt. 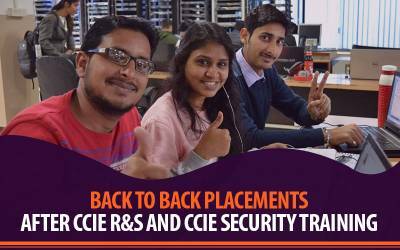 Flaunting their CCIE numbers are few of the Network Bulls Women who are now Cisco CCIE Experts and ready to make their name in the world. The field of networking offers vast career options to both men and women. Taking up jobs in this sector can be of huge advantages to the women, especially to those who are willing to take up new career options and experiment in all sorts of areas. Cisco Networking is one of the prime areas where women can start their careers. Jobs in the networking sector are favorable and one can look up to many such varieties to suit their own individual preferences. Women now days have kept all sources focused and have improved in various organizational skills so as to take up new roles and play different parts. Women who have completed these training from Network Bulls are now placed all over the world. They are now sharing their success stories and inspiring others to join the world of networking. Cisco Networking has significantly taken over the IT industry and the jobs are available in plenty. The certifications, however, are tricky and tough but no impossible. 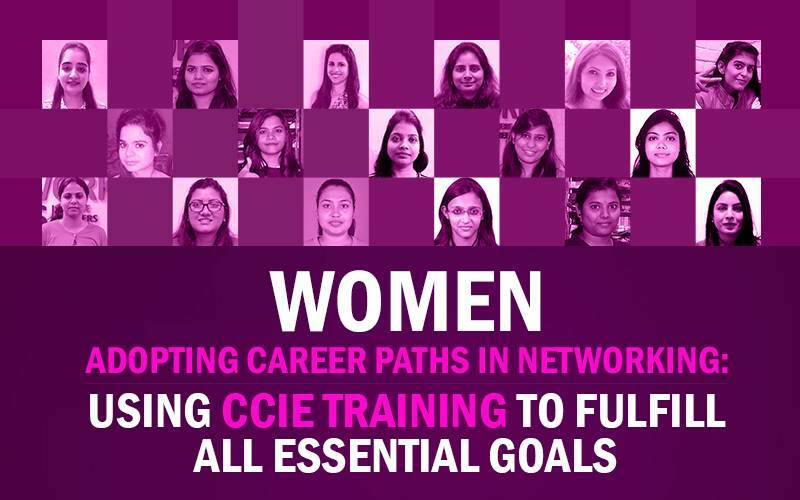 Many women of Network Bulls have cleared their CCIE Examination in the first attempt and made their careers fly afterward. Here are the recently placed women of Network Bulls. These women completed their respective training from NB and got placed in respectable Multi-National companies at great pay scale. Women power usually begins from the stage when women have been given the right to choose any career that they want with all sorts of freedom and that’s what we do at Network Bulls. At Network Bulls, we always stand forward to make women empowered and help them get the fair opportunities. The women are trained equally, treated fairly and are provided with the safe and sound learning environment leading to many successful entrepreneurs, Network Engineers, Security Experts and more.